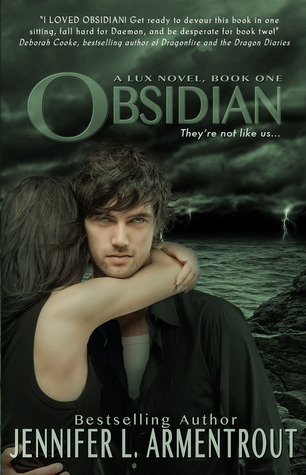 This week my Dusty Read is......Obsidian by Jennier L. Armentrout!! I have no excuses, I should have read this by now, I have had it for a year now I think and still havent read it!I know I will probably love it too, I LOVED Jennifer L Arementrouts Half Blood, and this book has a HUGE following. I just really need to jump on the Obsidian band wagon and read this soon! What's getting dusty on your shelf?! I know what you mean - I just picked this up as well. Everyone raves and I mean RAVES about it. Hope you like it! I haven't read Obsidian yet, but I did buy it a few weeks ago and it's just been sitting on my Nook. I'm trying to get to it soon, though. Hopefully it lives up to all the fantastic reviews! I have read it, it's amazing at least I find it that way. I got the second book a few weeks ago! I need the third one now!